It was really awesome. It was even better than the first one. A bunch of cool stuff happened in it. I really liked that not all of the bad guys were actually bad guys, they were also kidnapped by Lars, and not all of them wanted to be evil. There was one guy that let them escape. I also really liked how complicated the crime plot was. 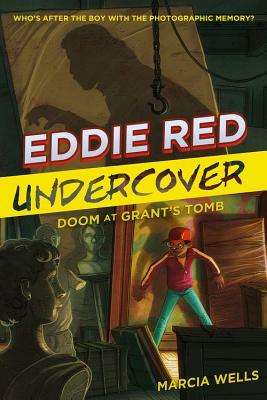 Marcia Wells is the author of the Edgar-nominated mystery series Eddie Red Undercover. She holds a Master's degree in Spanish literature and lives with her family in Vermont. "This third series installment is a strong choice for reluctant readers with its spot-on pacing, character sketches (supplied by Eddie), and likable hero. Charming and full of historical detail (this time of the Civil War)..."